Have you ever receive Valentine's Day Cookie from your love ones? No, never. Bought them and ate them myself! Do you buy or bake cookies? This Valentine’s Day, I noticed that many people are busy surveying which cookies to buy, which are cheaper, good quality and comes in fancy packaging in order to win over his or her lover’s heart. There are so many bakery shops and sweet pastry outlets that retail assorted Valentine’s Day cookies that even some of the popular bought cookies are sold out. Hence, buyers need to pre-order the Valentine’s Day cookies in advance as they are selling like hot cakes. However, due to lack of budget and pressuring for time, hopping here and there just to compare the difference in a couple of dollars, I find it is just a waste of time and petrol. Hence, I decided to bake them on my own. I went to hunt down for my old recipe books at home which I had not touched for years. Dust had been accumulating on top of the recipe books, obviously they had been left untouched since I had started surfing through various websites for online new cookie recipes. If you want to add some fillings into your Valentine's Day Cookies, you may add in chopped walnuts, almonds, raisins or chocolate chips that you fancy. Roast your selected nuts in a toaster or your oven for 5 minutes before chopping them coarsely. You could mix walnuts and raisins or just plain chocolate chips into the batter before stamping out with the heart shape cookie cutters. Since Valentine’s Day is fast approaching, I thought of baking some Sweetheart Cookies that uses heart shape cookie cutter with less sugar, less ingredients and most important factor is; fast to bake. I was overexcited with my accidental find while browsing through the old recipe books that I had neglected for years. Sweetheart Cookies are also known as Valentine’s Day Cookies due to the heart shapes. These cookies are less sweet and melt in the mouth cookies with wonderfully white coated smooth melted baking white chocolate that covers all over them and then finish them off with drizzle of melted pink chocolate. This Sweetheart Cookies was adapted from Y3K Cookbook, My Secret Recipes Series Vo. 9, written by Alan Ooi. He is a great chef who bakes popular cookies for all occasion and I had read many of his accomplishments in Popular Bookstore which I really can’t resist myself from trying them out myself. Since Sweetheart Cookies are baked in heart shapes, they are suitable gifts for Birthdays, Mother’s Day, Valentine’s Day and even Grandparents’ Day. These adorable cookies represent your love which I guarantee you that your partner or love ones would definitely fall in love with them immediately. I found Hershey baking chocolate in most supermarket, although the price is expensive but it is worth for cookies and cakes. It has no milk, highly rich in chocolate cocoa flavor, 100% for baking purpose, never try it for snacking because it is bland and rich in cocoa. It gave a fragrant cocoa chocolate smell in my cookies, definitely will buy it again at all cost. Nothing can beat the original taste of chocolate ! After baking them for the first time, I really love Sweetheart Cookies. Unlike any other cookies, these Valentine’s Day Cookies are not so sweet as it uses half cup of sugar( 60g). You could choose icing sugar instead of castor sugar if you intend to cut down the beating batter time. 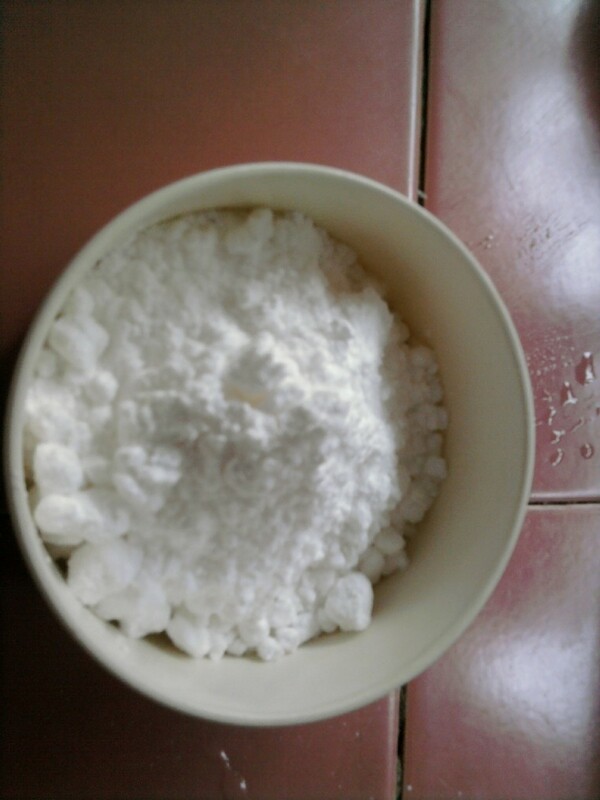 Icing sugar dissolves easily if you compare it with castor sugar. 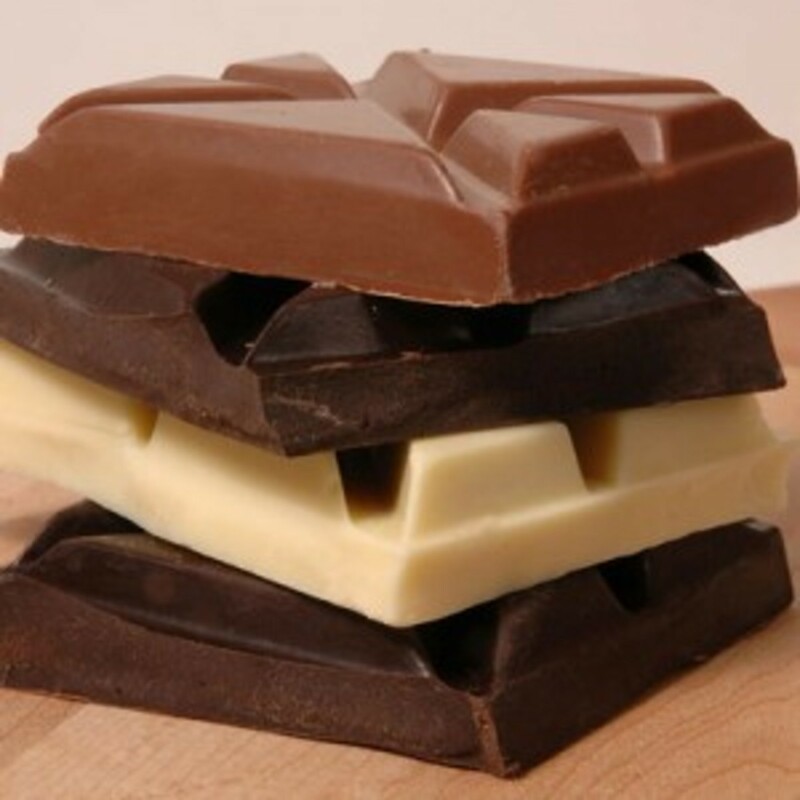 Baking Chocolate: How to Melt the Chocolates? Do not melt the baking chocolates until your Sweetheart Cookies are well baked. This is due to the fact that melted chocolates may turn hard when it cools off. This is called the "Double Boiling Method". 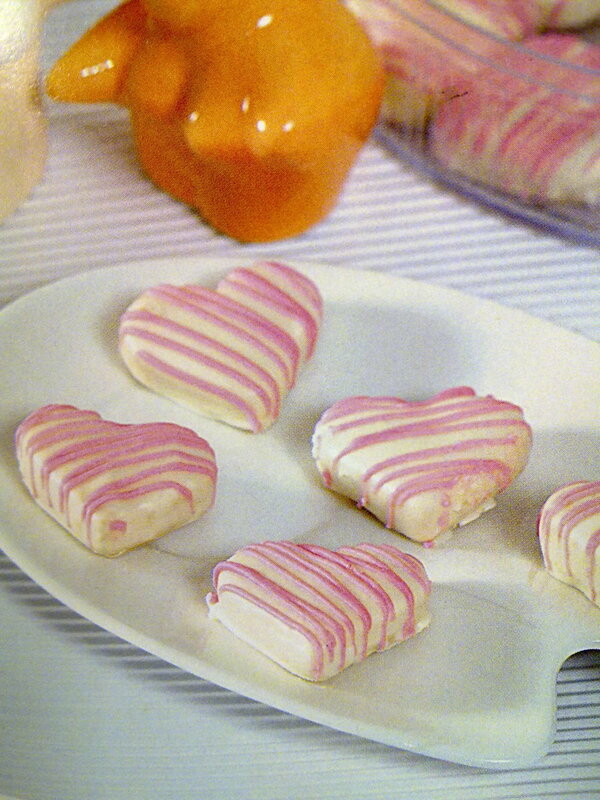 The white, pink melted chocolates that cover all over the cookies make the sweetness taste just right. Melting the baking chocolates may take some of your time. First you need to boil half pot of boiling water. While waiting for the water to boil, chop the white baking chocolates into square pieces. Repeat the same for the pink chocolates but separate them in different baking bowls. Use the stainless steel baking bowl or microwave glass bowl because you need to put the bowl on to of the hot boiling pot to melt the chocolates. Ceramic bowl may break or crack easily due to the excess heat. When the water is "dancing" turn off the heat. Transfer the chopped white chocolates into the stainless steel bowl. Put the bowl on top of the mouth of the pot. Notice that the white chocolate is beginning to melt. Stir the melt chocolates. Repeat the same step for the pink chocolates. Remember to use different bowls. 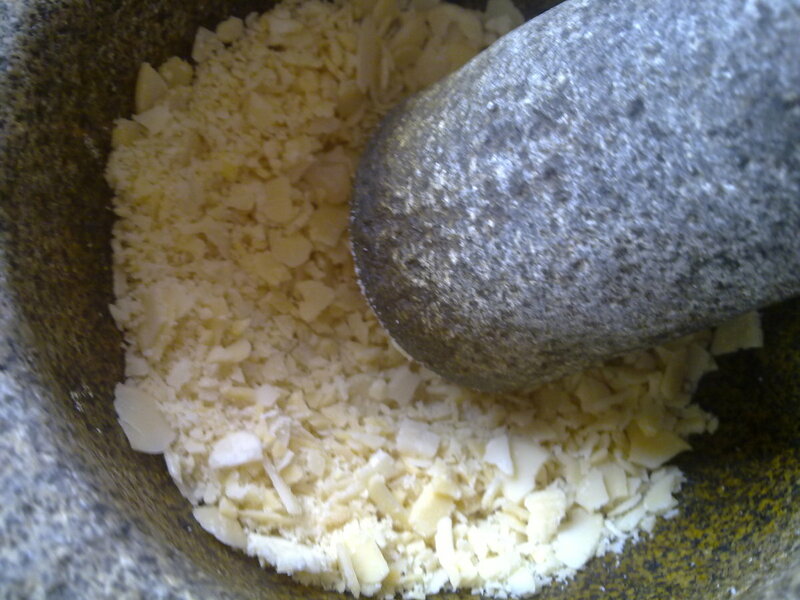 The dry ingredients are almond powder mixed with corn flour and plain flour. If you couldn't find almond powder, you could pound or ground roasted almond into powder form. Use a sieve to sift all the 3 dry ingredients together in order to refine them. 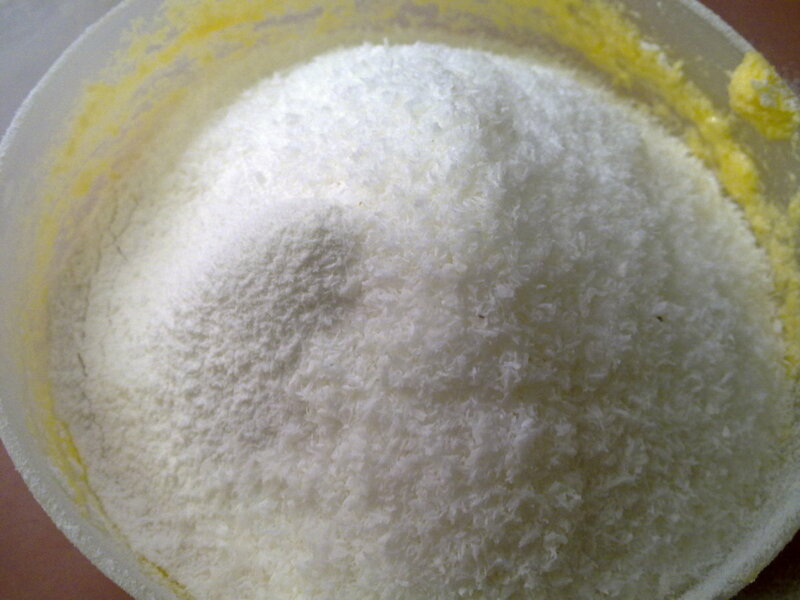 The purpose of using corn flour is to induce the batter to become crumbly and melts easily in your mouth. This rich, tender and melt in the mouth cookie do resemble the Pineapple Tarts pastry. Full of almond fragrant smell. 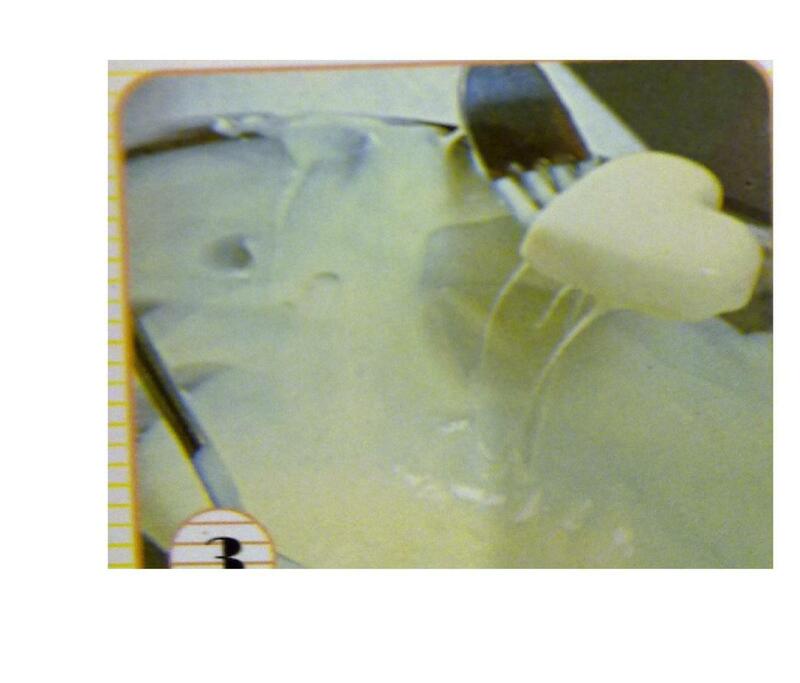 The rest of the Sweetheart Cookies are made from these basic ingredients; butter, egg yolk, and vanilla essence.The decorative ingredients are white cooking chocolate and pink color cooking chocolate. 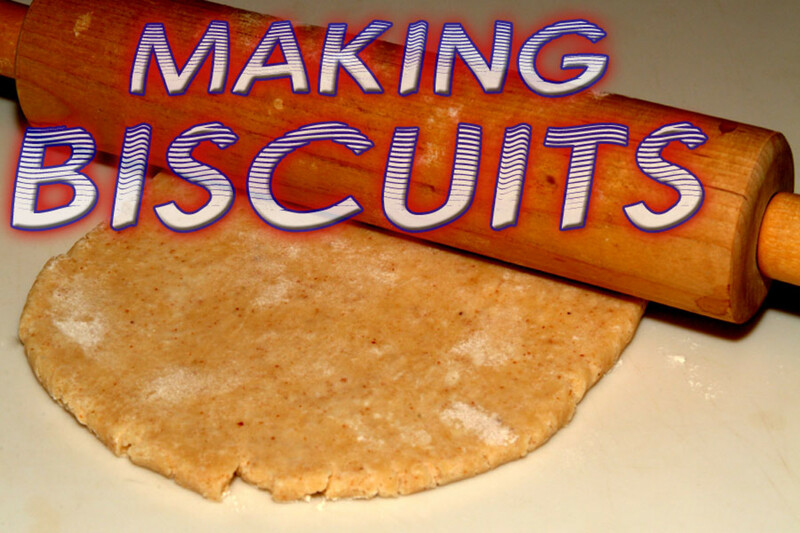 Here, I have listed out the step by steps methods to bake Sweetheart Cookies. Remember to melt the baking chocolates last because they harden easily when they are cool off. If you are using unsweeten chocolate bars, add a little icing sugar during the melting process. Do you like Valentine's Day Cookies? 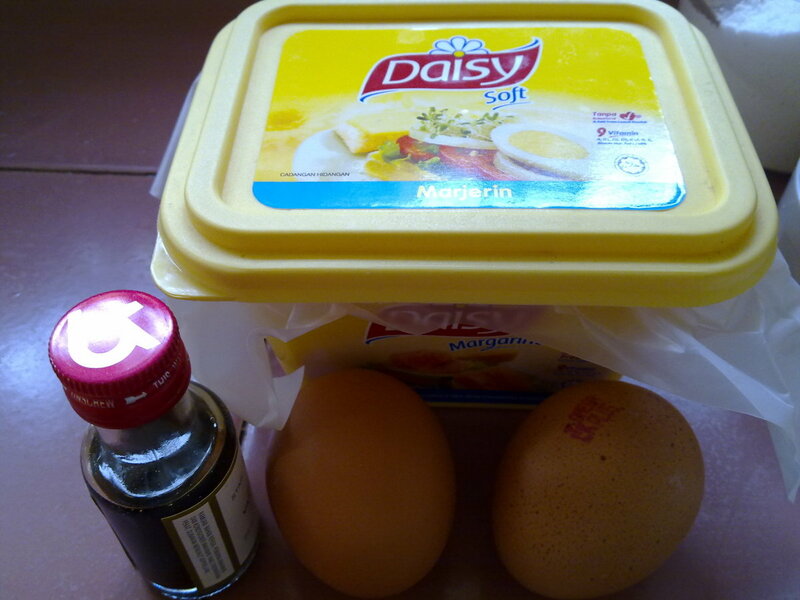 Add in an egg yolk. Mix well. 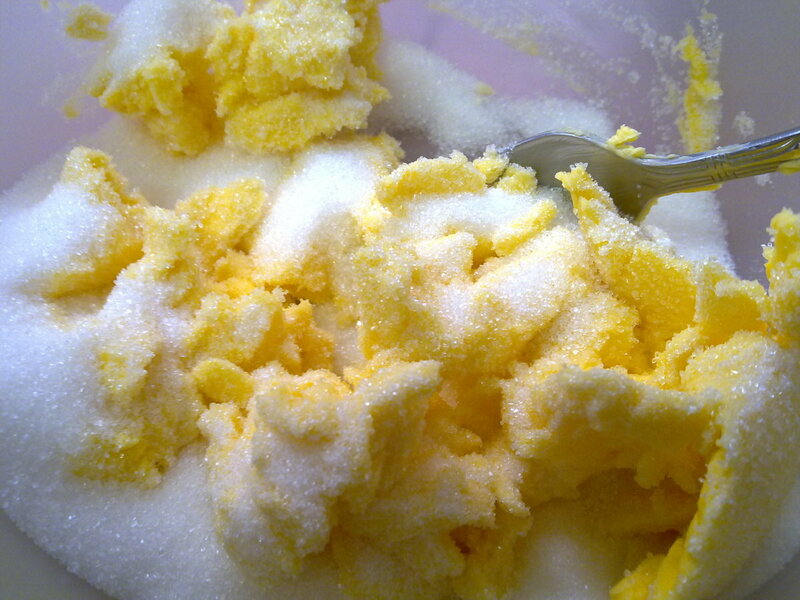 Beat butter and icing sugar in a mixer until fluffy. If you are using castor sugar, beat the batter a couple more minutes in order to make sure that the sugar are dissolved. 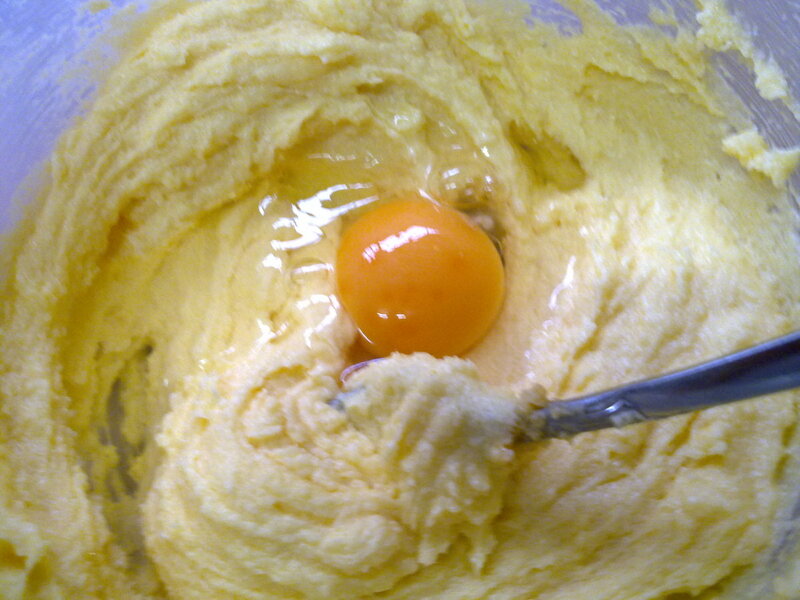 Add in 1 egg yolk and beat the batter. Mix in 1/2 tsp of vanilla essence and mix well. Place the soft dough between sheets of plastic and chill it in the refrigerator for 20 minutes in order to harden the dough. Take out the slightly harden dough . Remove the sheets. Dust some flour onto the rolling pin and roll flat the dough into a thin layer. Stain some flour onto a heart shaped cookie cutter and stamp out the cookies. Transfer them to lined baking tray or lightly greased baking sheets. Bake them in a preheated oven at 180C for 20 minutes or until golden browned. Transfer the cookies to wire rack in order to cool the cookies. Prepare the double boil chocolates. Dip each cookie into melted white chocolate and leave on the clean baking paper to set. Pour in some melted pink chocolate into a pipping nozzle and drizzle some fancy lines across the surface of the white chocolate. Leave the cookies to set well before storage in air tight containers. Cookie cutters are also known as stamping or biscuit cutters. These cookie cutters are made from either stainless steel or plastic. The sizes range from 1.8 inch to 3.2 inches wide, depending on how big or small you want to make your cookies. 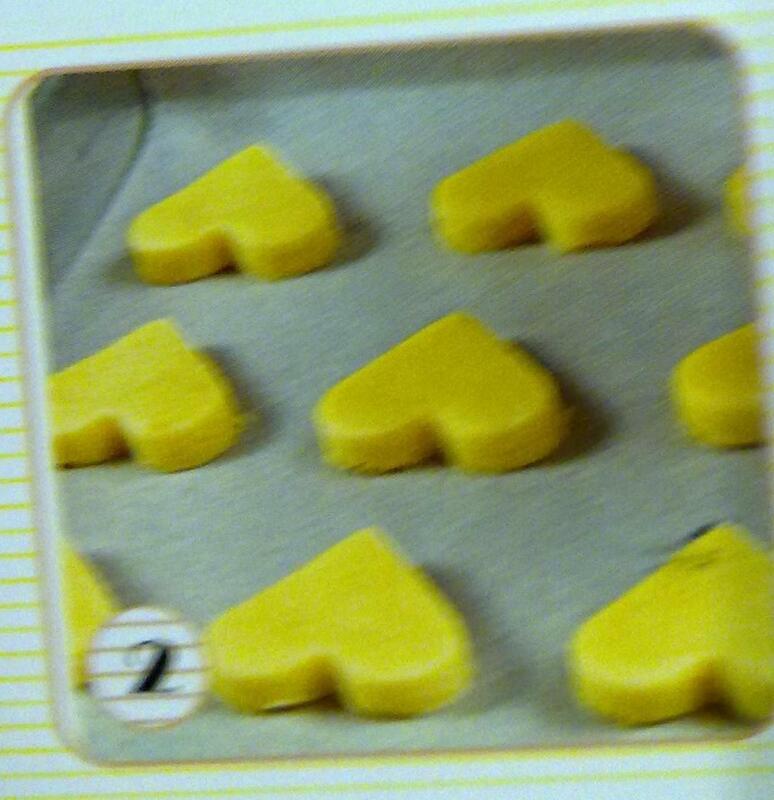 Most of these cookie cutters are sold in a set of 6 pieces with various sizes but the same shape. They are both washable and easily scrap off the excess sticky batter with a soft brush or toothbrush. Stainless steel cutters do not cut your hands either. Plastic cutters are easily to keep because you don't have to dry them but you need to make sure not to put them anywhere near hot baking trays. These cutters will melt due to excess heat. Remember to stain some flour onto the cookie cutter before stamping. 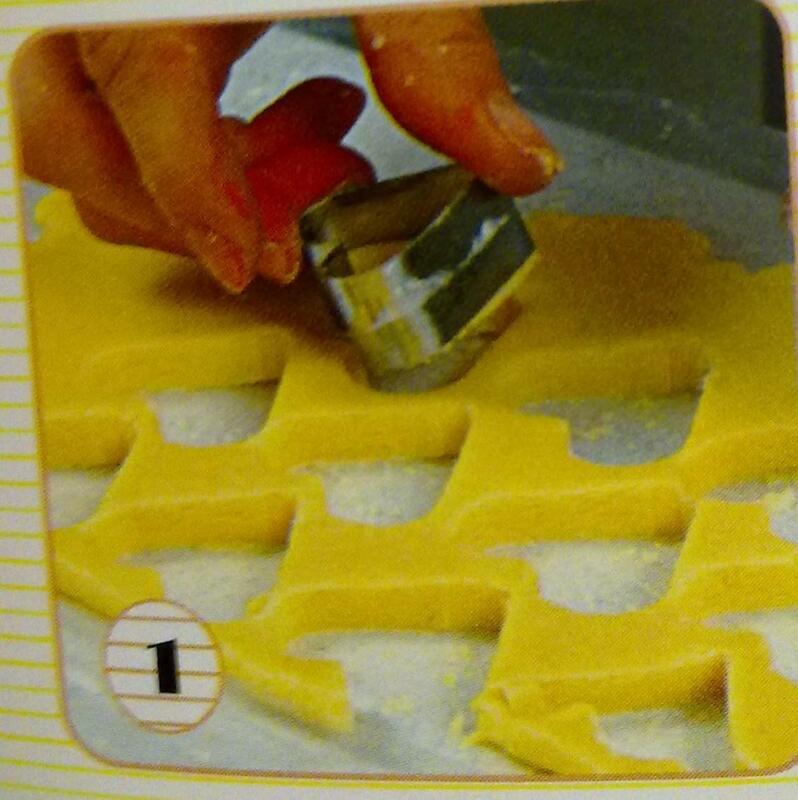 This is to make sure that the dough does not get stuck to the cookie cutter after you have pressed it. Then, use your index finger to lightly press it down to release the cookie from the cutter. Another tip is to spread some flour onto the flat surface before you roll flat the chilled dough. This is to ensure that the dough does not stuck to the surface too. How to coat white chocolate over the cookie? When the cookies are freshly baked, leave them on the wire rack to cool off. Proceed to "double-boiling" the baking chocolate separately. Put the stainless steel bowl over the mouth of the boiling water in the pot. Use a fork to press down the white chocolates against the bowl to ensure that chunks of chocolates are melted. Dip in cool off cookie one at a time into the melted chocolates. Use the fork to over turn the cookie, make sure both sides are well coated. Remove the coated cookie to a clean baking sheet ( parchment paper). How to drizzle the pink chocolate over the cookie? In another bowl, melt the pink baking chocolates. 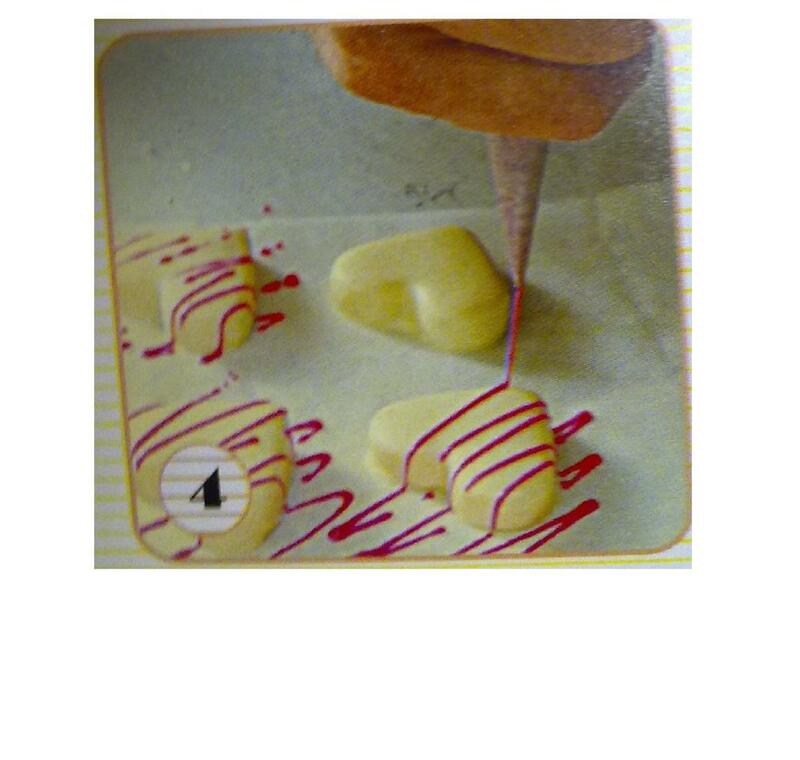 Transfer the pink chocolates into a pipping bag fit with a nozzle. Place each white coated cookies 1-2 inch apart because you need some space to drizzle the pink chocolates so that both cookies do not attach to each other. Press lightly the pipping bag, closely to the top of the coated white cookie. Quickly move up and down in a "W" format or any patterns that you fancy. Leave them to dry and harden. 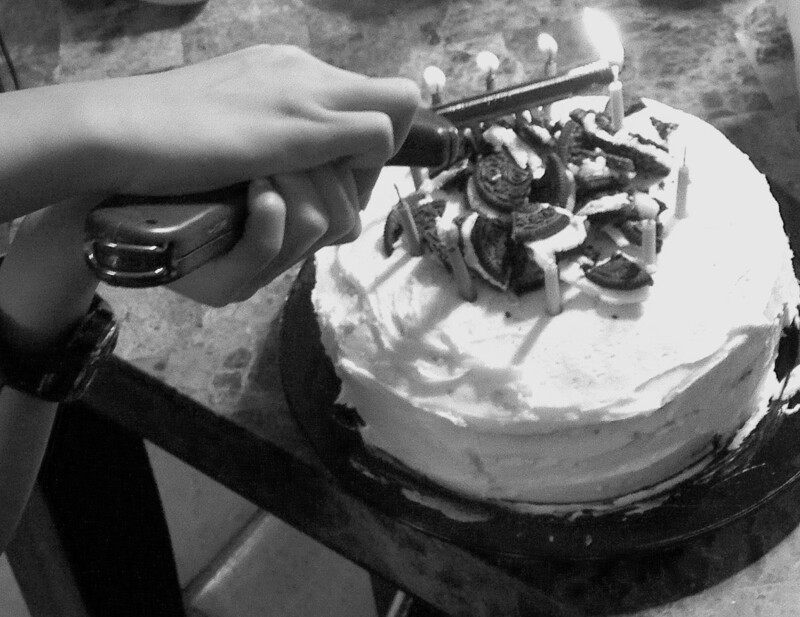 Use a butter knife to loosen up each cookie. Valentine's day handmade card with rows of cute hearts that resembles butterflies. Quick and easy for kids and adults to show your love on Valentine's Day. Homemade Cookie Dough Recipes: Baking Cookies for the Holidays -- And for Everyday! These cookies look so pretty! I've been seeing them in the feed and on Pinterest. I've just now pinned them to my 'Valentine's Day' board. thanks for your votes and pins. thanks, i love valentine's day cookie. yes please. hope that you will enjoy it. Lovely looking cookies. Must try these. These are quite beautiful and would make a wonderful surprise for a loved one. I have a heart shaped cutter that I can use. Love sugar cookies. Will be pinning this beautiful photo. It's almost time to make Valentine cookies! Yours are perfectly beautiful. You did a fantastic job showing us how to make these: great photos. Voted UP, etc. shared and Pinned to my recipe board. Good idea , he can help me bake them ! They are great ! I'm going to make these with my new cookie cutters ! Thanks for this ! thanks rebecca, the drizzle makes the kids go ga-ga! What a delightful recipe! And drizzled with pink chocolate! Hi peachy, you can use these for the coming CNY as well. Have a great weekend. These look wonderful and yummy! Wow! Yummy! I have just found it shared by Peggy. Thanks for sharing the recipe. I would love to try this soon. Shared in my fb. Happy weekend! Thought that I would share this since Valentine's Day is fast approaching. These are such beautiful cookies! Thanks! hope that your sister will bake this cookies for you. Wow! I would love to have those ! I like to eat , though I am not good at cooking. I will have to take this recipe to my sister. I would just like to say. I saw this hub this morning and enjoyed it for a Valentine article, so I shared it with my followers here, also pinned it to my valentine board on Pinterest. Hope you get lots of views for this excellent hub. thanks, it is the thoughts that counts, you are right. Great recipe. I assume icing sugar is the same as our powdered sugar here in the USA, right? And vanilla essence would be vanilla extract here, right? Your valentine's day cookies are gorgeous. Delightfully for any day but ideal for saying I love you to someone special. This is an interesting, nicely displayed article for making Valentine Day Sweetheart cookies. With Valentine day only a few weeks away now is the time for readers to start making up their mind what they will do for their sweetheart gift. Here's an idea that I like and I hope other readers will also, it does cost much but really all that is needed to show how you feel about each other on this important day of the year. 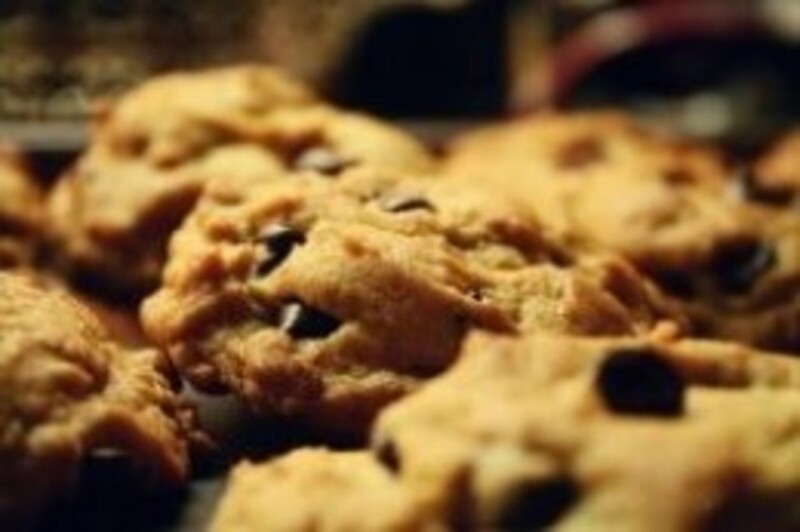 thanks, I am sure you will love homemade than store bought cookies, we are hooked! I love these cookies, they are so sweet to look at. I make cupcakes or cookies for my grandchildren on Valentine's Day. Now I have a different recipe. Thanks. These cookies look beautiful and sound delicious. Pinning this to my cookie board. Thanks! These look great and delicious. Thanks for the great idea for Valentine's Day. I would love to do this for my grandkids. Vote up. I'm so sad I didn't see this hub until now!!! I would have loved to make those for Valentine's...Oh well, maybe I will have to surprise my guy one of these night just because! :) Thanks for sharing! Thanks for your votes. Yes, do try them and let me know the results, would ya? These look terrific. I can't wait to try them. Voted up and following. Thanks for reading. Yeah, looks good, aren't they? Wow. These cookies look very good and interesting. 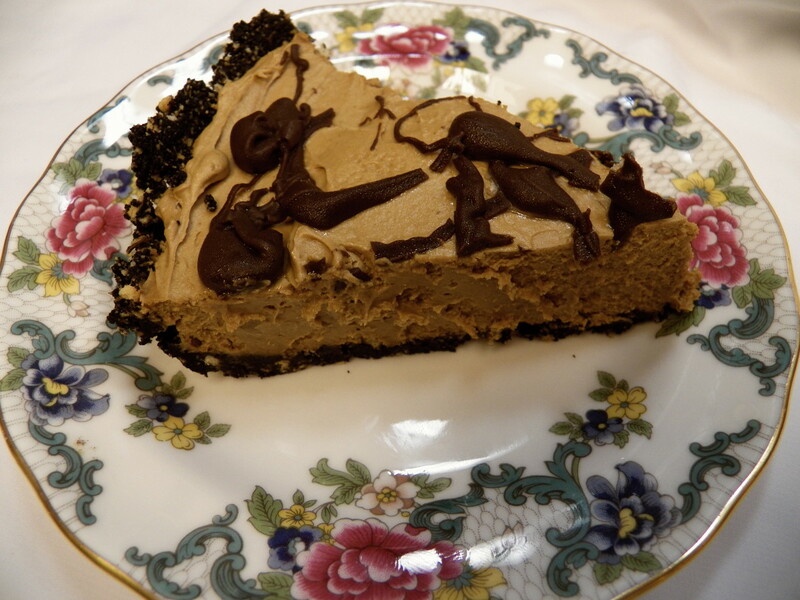 Thanks peachpurple for sharing this recipe. Thanks for yr kind comments. Glad you like it. Thanks for reading. Hay Valentine's Day to you too. Yeah, Valentine's Day is over now but sweetheart cookies are meant for any occasion or any other normal days too. Thanks for yr vote. Greatly appreciated. Great-looking hub with beautiful pictures. I can only imagine how tasty these cookies will be. Happy Valentine's day. Beautiful cookies - and so much nicer to give than store bought!